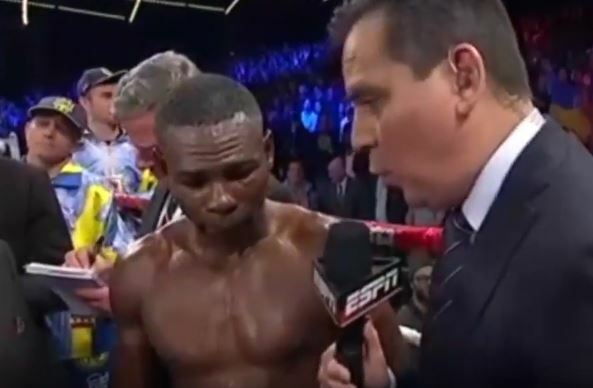 The Rigo hand injury has become a bit infamous at this stage since last weekend’s loss to Vasyl Lomachenko. It was reported yesterday by Dan Rafael that the left hand of Rigo was in fact not broken in his WBO super-featherweight world title bout this past weekend, instead it was just very swollen. This seems to have left a bit of a sour taste in the mouths of many fight fans who were hoping to see the talented Cuban fighter at his very best last weekend – against a man arguably who is the best boxer in the world today. Some commentators including Paulie Malignaggi have mentioned that the Cuban boxing legend might simply have not cared in the fight, and that from a caring point about the sport of boxing as a whole, his motivation is simply just not there anymore. Boxing is one of the toughest sports of them all and is not a place to be if the latter is the case. Following the fight a close up shot of Rigondeaux’s hand injury taken straight after the fight has emerged on Instagram.